The shed is engineered to be solid and has years of durability in any weather climate. Asphalt shingles provide protection against leakage, and the gutter system is designed to drain the water to the ends of the shed, eliminating heavy water flow over the access doors. It can be painted in any color. 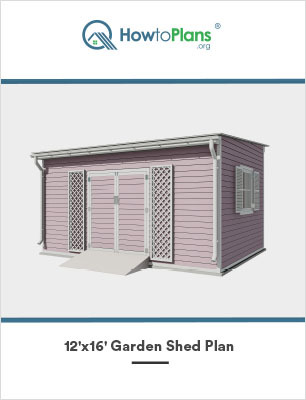 The 12’x16’ Moss Garden Shed plan is a simple step by step application for construction and design. 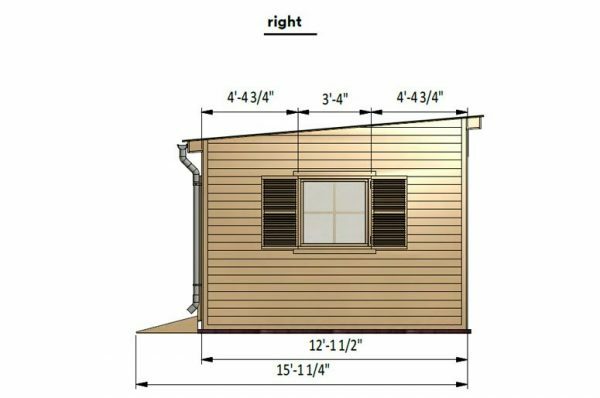 A detailed material list is included in the plan that displays all of the construction materials required for the project. The plan utilizes 3-D illustrations with accurate measurements for each section. 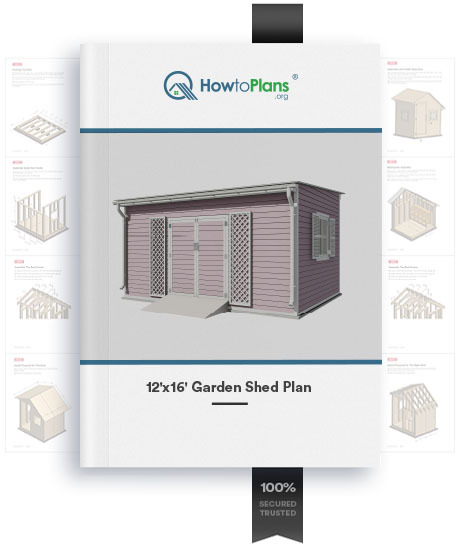 Every section goes into more detail with step by step instructions that the average DIY enthusiast can read and understand. The plan is designed in order from start to finish. 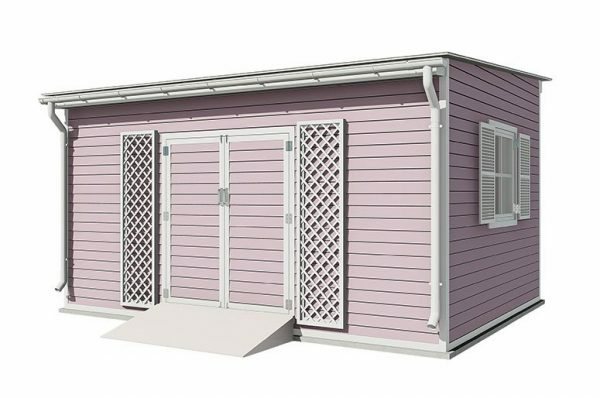 It clearly lays out the site preparation as well as the construction of the sub-floor, walls, roof, doors, windows, gutters, shutters, and access ramp. Drawings and pictures of the finished product for each step are included with the plan. The plan displays accurate measurements that provide a good viewpoint of the completed section. Fastening applications and the correct nail and screw size are also listed for each application and section. The plan is designed with asphalt shingles; however, it offers flexibility for different roofing materials like rubber or metal. 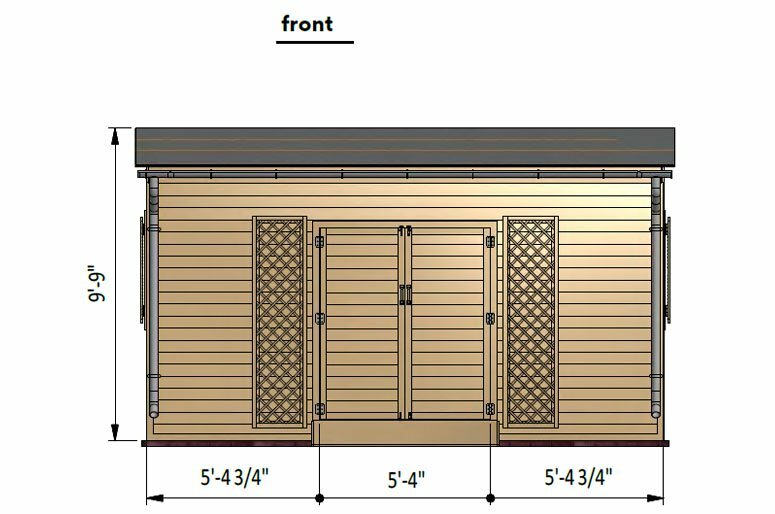 The 12’x16’ Moss Garden Shed offers a spacious 192 sq. ft. of floor space with an 8 ft. ceiling and plenty of storage options. The back wall is the perfect place for a variety of shelving or even a great place to build a workbench. There’s plenty of room for pegboards, hooks for garden tools, lawn equipment, and recreational vehicles. 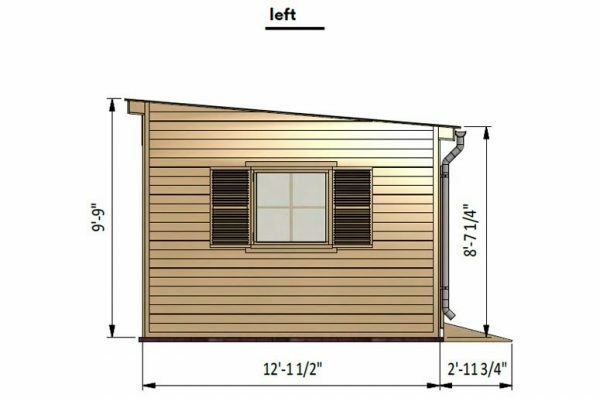 The shed utilizes the left and right walls for custom-built windows that allow for fresh air circulation. The shed is engineered to be solid and has years of durability in any weather climate. Asphalt shingles provide protection against leakage, and the gutter system is designed to drain the water to the ends of the shed, eliminating heavy water flow over the access doors. 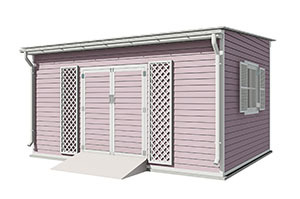 The shed can be painted in any color. 4. Can I use my garden shed as a roadside store? A: The Garden Shed is the ultimate building for a roadside store for fresh garden produce, eggs, fruits, flowers or other specialty crafts. The double doors provide plenty of room for customers to go in and out while the interior is spacious enough for a variety of wall shelving to display your goods for sale. 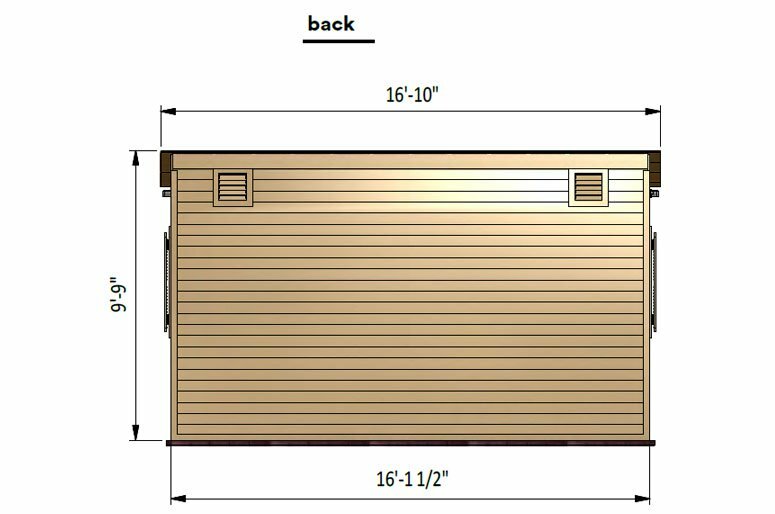 Build Your Own 12×16 Shed Now!